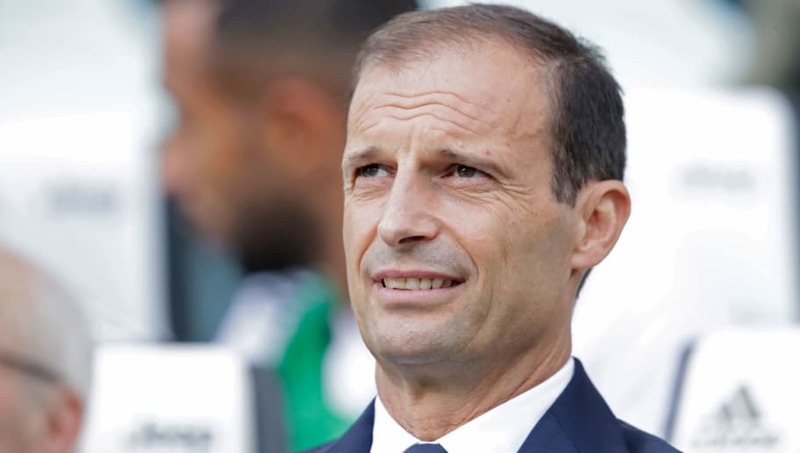 ​​Juventus coach Massimiliano Allegri has admitted his side are in a challenging group for the ​Champions League but is looking forward to getting his side's European adventure off to the best possible start. I Bianconeri were finalists in 2015 and 2017 as Juventus look to go one better this season in the illustrious European competition. Allegri's side have been pitted against Manchester United, Valencia and Swiss champions Young Boys in Group H, as La Vecchia Signora's poster boy signing Cristiano Ronaldo will return to Old Trafford once more to face his former side. Juventus will come up against the Red Devils in competitive action for the first time since 2003, when a United team managed by Sir Alex Ferguson ran out comfortable winners, 2-1 and 3-0. Despite the two losses, Juve would eventually reach the final at Old Trafford against ​AC ​Milan, where they would eventually lose on penalties. The former Rossoneri manager took to ​Twitter to voice his thoughts on the group stage draw that took place in Monaco on Thursday, as he fully acknowledges the challenge that is upon them. "Challenging group, with teams of absolute value, great tradition and historical stadiums." Juventus will start their Champions League campaign against Valencia on 19th September at the Mestella, before hosting Young Boys at the Allianz Stadium on 2nd October.